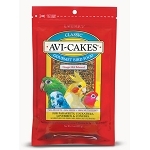 High-energy, nutritionally balanced bird food ideal for breeding birds feeding chicks and for weaning birds. Roudybush High-Energy Breeder Adult Bird Food helps maintain your bird's healthy weight and contains extra protein to help birds gain weight lost due to breeding. 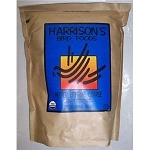 This high-energy bird food also provides young birds with extra protein, calcium, and Vitamin D3 needed for the continued growth. Specially steam-pelleted Roudybush High-Energy Breeder Adult Bird Food retains beneficial nutrients, eliminates harmful bacteria, and minimizes waste and mess. 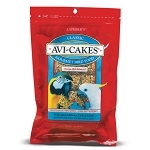 Plus, this easy-to-feed bird food is fortified with vitamins and minerals so you don't have to offer additional vitamin or mineral supplements. Roudybush High-Energy Breeder Adult Bird Food contains natural preservatives and no artificial colors or sugars. 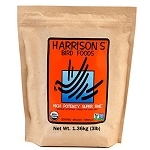 For birds with higher calcium needs or birds being introduced to Roudybush foods, we suggest mixing 1/3 portion of Roudybush High-Energy Breeder Adult Bird Food with 2/3 portion of Roudybush Daily Maintenance Adult Bird Food. Ingredients: Soybean Meal, Ground Corn, Ground Wheat, Alfalfa, Dicalcium Phosphate, Calcium Carbonate, L-Lysine, DL-Methionine, L-Arginine, Choline Chloride, Salt, Dried Yeast, Niacin, Silicon Dioxide (anti-caking aid), Citric Acid (Preservative), Mixed Tocopherols (Preservative), Vegetable Oil, Rosemary Extract, Manganese Sulfate, Calcium Pantothenate, Ascorbic Acid, Biotin, Yucca schidigera Extract, Zinc Oxide, Vitamin D3 Supplement, Alpha Tocopherol Acetate (Source of Vitamin E), Vitamin A Acetate, Riboflavin, Pyridoxine Hydrochloride, Thiamine Mononitrate, Vitamin B12 Supplement, Potassium Iodide, Sodium Selenite, Copper Oxide, Propionic Acid (Preservative), Ammonium Hydroxide, Acetic Acid, Sorbic Acid (Preservative), Tartaric Acid, and Natural Apple Flavoring.